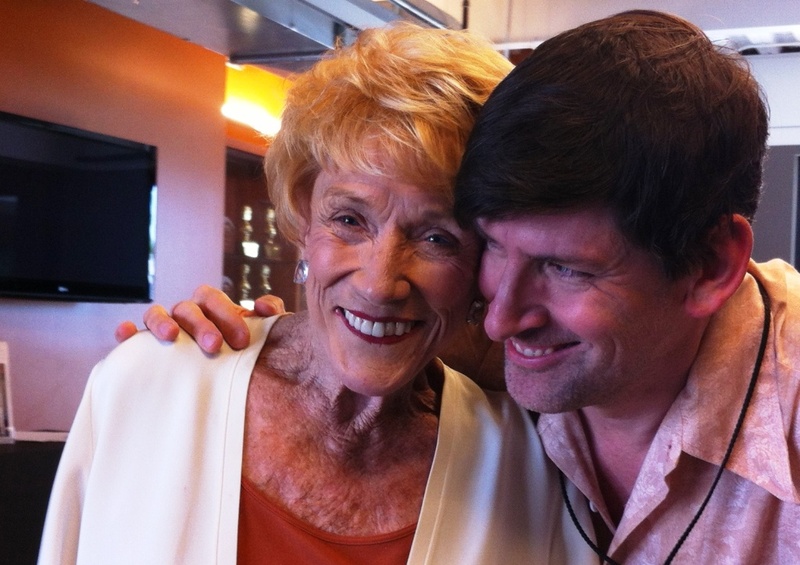 Jeanne Cooper, 83-year old star of "The Young and the Restless," with Off-Ramp host John Rabe. We got the sad news Wednesday that beloved soap star Jeanne Cooper had died. In her memory, we're rerunning host John Rabe's August 2012 interview with the daytime TV legend. Oh, who knows if everything in 83-year old "The Young and the Restless" legend Jeanne Cooper's memoir, "Not Young, Still Restless" is true? It's plainly labeled "memoir," and Cooper has paid her dues over 70 years in showbiz, dating back to her first school play. 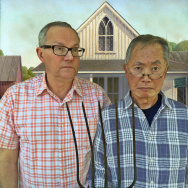 Cooper was born in Taft, California and lived all over California. Her friends in Stockton - where she was happily ensconced in the local theater scene, a big fish in a little pond - kidnapped her and brought her to Hollywood. In 1953, she made her first movie, but she shot her first television episodes that same year, and it was in TV that she made her career. "The Young and the Restless" debuted in 1973 and since the 1987-88 season has been the #1 daytime drama. And for all but a few months, Cooper has played Katherine Chancellor, the matriarch of Genoa City, Wisconsin. 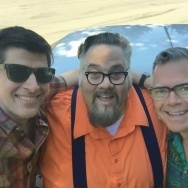 "Not Young, Still Restless" is biting, frank, charming, bitchy, and immensely enjoyable. You find out about her parents, a strong, wonderful couple; her love life; her battle with booze; the famous on-air facelift; and her thoughts about the slow death of the soap opera. "It's not dying; they're killing it." And she feels the networks' treatment of soap operas is a slap in the face to the millions of people who have been loyal to the soaps - and the products advertized on them - for decades. Her voice is a little ragged in our interview, because of all the talking she's done on the book tour, but her will is strong, and her personality is irresistible. Will LACMA's new blueprint be grand, or 'glass underpants' — and does it matter? 'Where the boys did their funny stuff' -- Interview with author Jim Pauley on his book "The Three Stooges: Hollywood Filming Locations"